"Children are our greatest treasure. They are our future." 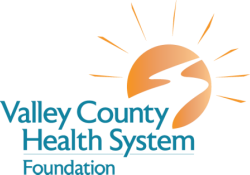 The Valley County Health System Child Development Committee was established in 1998 and is made up of parents, educators, and professionals who are concerned about the developmental needs of young children in Valley County. The mission of the VCHS Child Development Committee is to make a positive difference in the lives of children in Valley County. As parents and children begin their lives together as a family, parents embark on a significant challenge – that of promoting their babies health growth and development. The care that parents provide for their babies impacts all areas of their early and later development. Our committee has the services and tools to assist parents in providing these experiences. Together we can help prepare your child for success in school! All projects and community activities are offered for free or at a minimal charge to all families in Valley County. The Child Development Committee provides free baby bags with educational materials, growth charts, books, music, developmental toys, and much more to all new moms and babies in Valley County. The Annual Kid’s Fair, Family Literacy Night, Family Entertainment Night, and Ord North Pole Express are all organized by the Child Development Committee. We host story time for all children ages 0-5 and their parents at the Ord Township Library every 1st and 3rd Wednesday of the month at 10:30 AM and 7 PM. Please contact Lora Burkholder (308-728-7910) or Jeanette Koelling (308-728-5456) if you have any questions. We truly appreciate the generous contributions from our community to make this event possible!